BKSU presents Su Moisture Mask and Sun Block (SPF27/SPF50+) at the 2018 International Esthetic Cosmetics and Spa Conferences in the Las Vegas Convention Center. Su Moisture Mask contains Jeju horse oil and more than 10 percent extracts of antibacterial and anti-inflammatory Jeju broad-leaf bamboos, Jeju green tea and New Zealand spinach. JEJU--(Korea Newswire) June 11, 2018 -- BKSU, a Korean agricultural corporation, will participate in the 2018 International Esthetic Cosmetics and Spa Conferences in the Las Vegas Convention Center, Las Vegas, Nevada, USA, from June 23 to 25. BKSU will present two new products, “Su Moisture Mask” and “Sun Block” (SPF27/SPF50+), to the conferences. 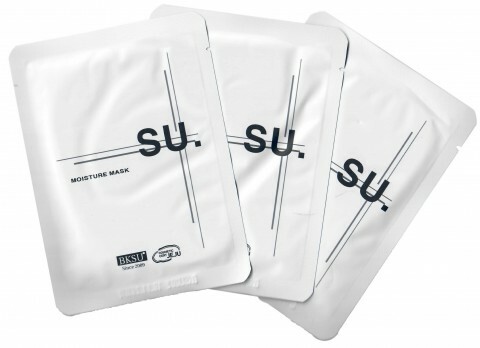 Su Moisture Mask contains Jeju horse oil and more than 10 percent extracts of antibacterial and anti-inflammatory Jeju broad-leaf bamboos (Sasa palmata), Jeju green tea and New Zealand spinach (Tetragonia tetragonoides). Its authenticity as a made-in-Jeju cosmetic brand is certified by the government of Jeju Province. Sun Block uses inorganic blocking agents to reduce skin irritation and raise the UV block effect. This is an environment-friendly product which does not use oxybenzone and octinoxate. What BKSU CEO Gi Beom Kim first developed was ecofriendly skin moisturizer for his daughter with very dry skin. He takes care of each and every ingredient of cosmetics he develops because his daughter will use them. To secure their safety, he administers skin patch tests for all BKSU products that use Jeju horse oil, examines them to ensure that they do not cause skin irritation, and conducts tests even for heavy metal toxicity. BKSU has so far won 11 COESMETIC CERT JEJU, emerging as a cosmetic brand representing the Jeju Island. BKSU sells its products at online drugstore “HMPmall (www.hmpmall.co.kr)”, SM and Lotte duty-free shops in the Second Terminal of Incheon Airport, Jeju-based online market “Tamnao” (www.tamnao.com), etc. It began to tap into overseas markets through product promotions on US social networking services, and is pushing ahead with plans to enter Poland, Canada, Turkey, Malaysia, China, Japan and other countries. To see BKSU products, please visit 2018 IECSC Booth No. #636 at Las Vegas Convention Center.